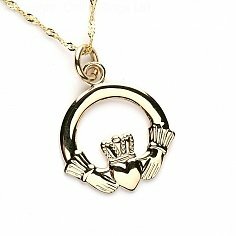 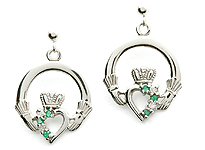 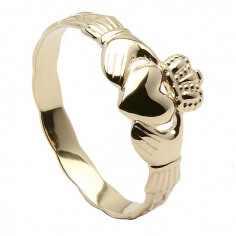 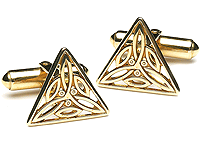 There are very few Irish symbols that are as universally recognized as the Claddagh. 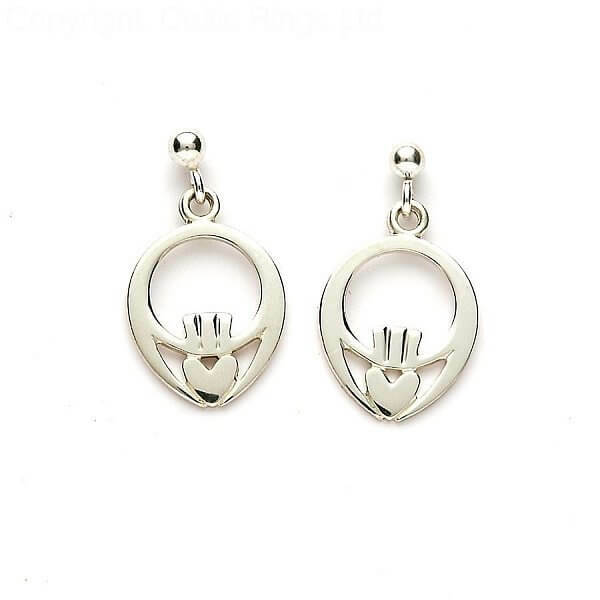 Rife with meaning, the hands signifying friendship, and the holding of the heart conveys love. 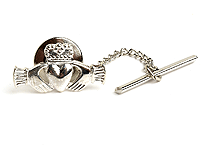 Both are topped with a crown as an emblem for loyalty. 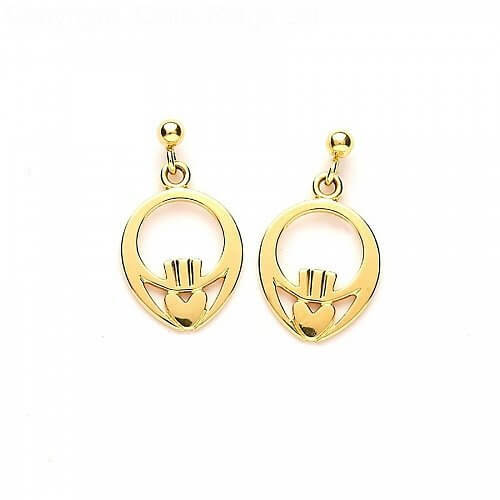 These contemporary drop earrings bring this early Renaissance design into the 21st century. 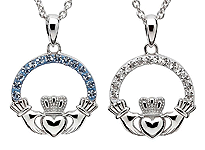 Suitable for celebrating a variety of relationships, they make a lovely gift for that special little lady in your life or for a god child. 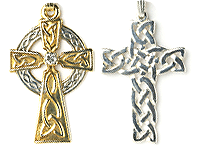 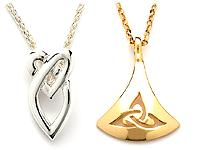 Choose from Sterling silver, 10k or 14k yellow gold, or 14k white gold.